The estate is located 60 kilometers from Poznań, 70 kilometers from Zielona Góra. The property consists of the main house, farm outbuildings, and a second dwelling intended for renovation. The house itself was built in the 1860’s at it’s earliest. It is a two stories tall, brick wall villa, and roof covered with steel sheet tile. 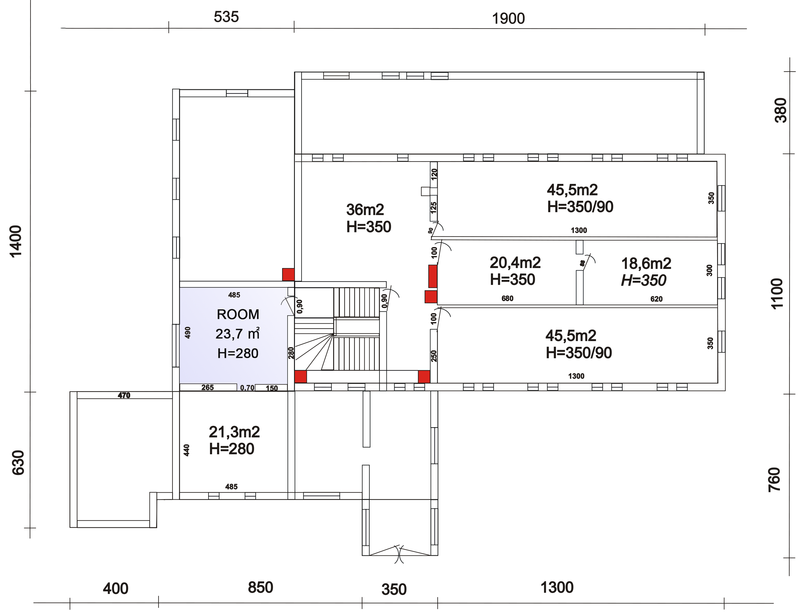 The building is divided into a residential and production areas; which can be incorporated into living area, or adapted for the purposes of various business activities, such: as production, fitness, development center, kindergarten, offices, etc. The estate contains an expansive basement system underneath the residential part, vast attics under roof’s midsection, and a garage with a technical access tunnel. 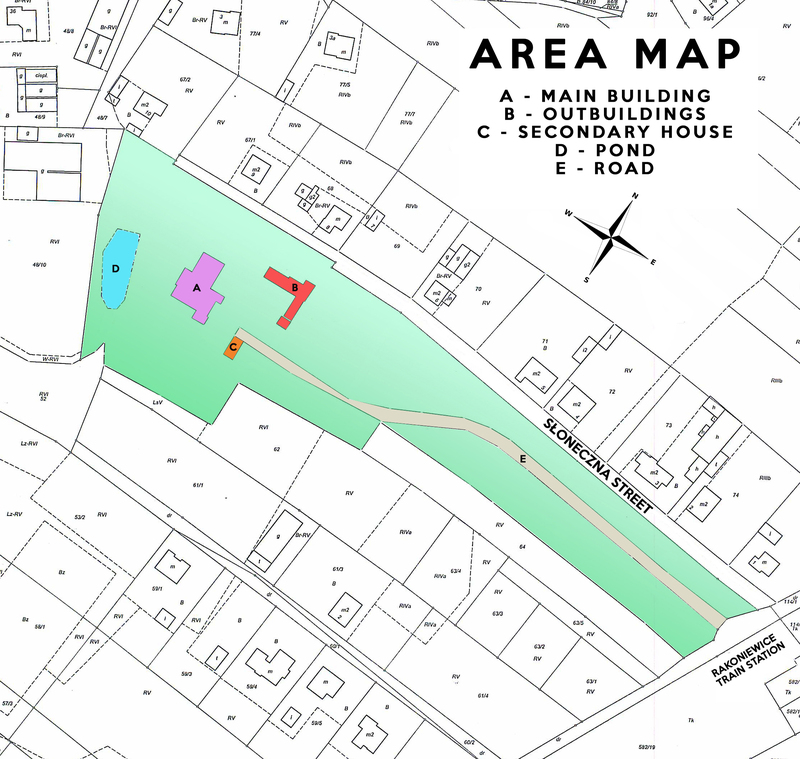 The compound is surrounded by a park with a pond, a recreational area, a small orchard, and a well-kept garden. Front part of the plot consists of farmable land which can be used for construction purposes, or for the development of the estate, for example: a horse paddock or recreational area. 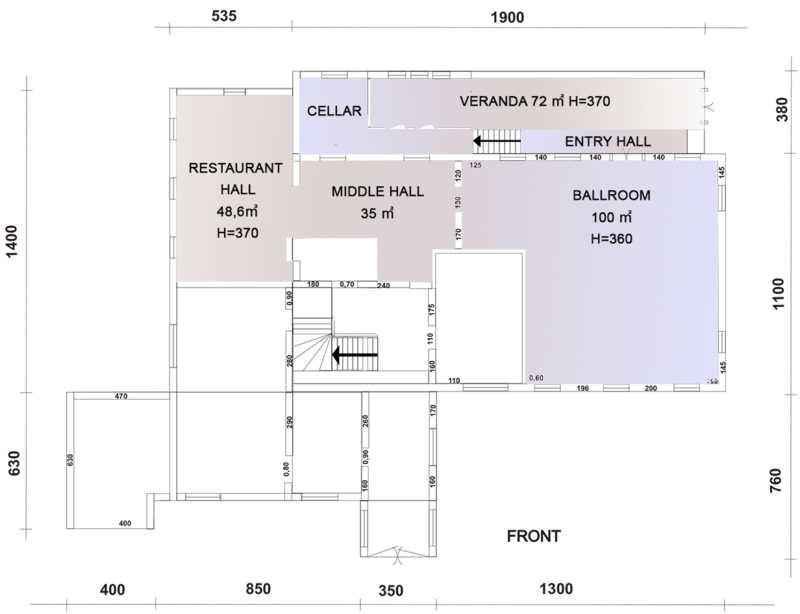 Cellar room with sanitary facilities to be restored. A walk-up basement, with brick floors and windows. It consists of two boiler rooms, pantry, and four storage rooms. 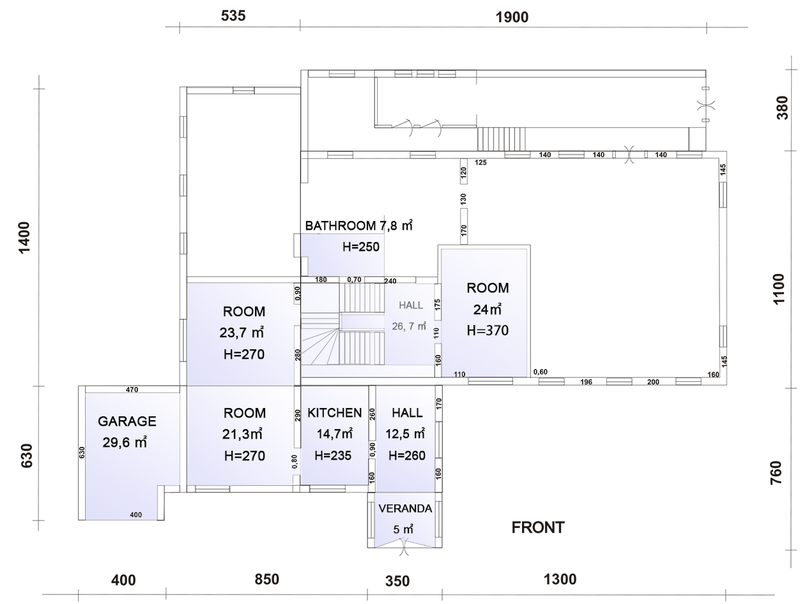 Second residential house: Surface area of 120 m2. To be renovated. Media: electricity, coal and wood-burning stove.